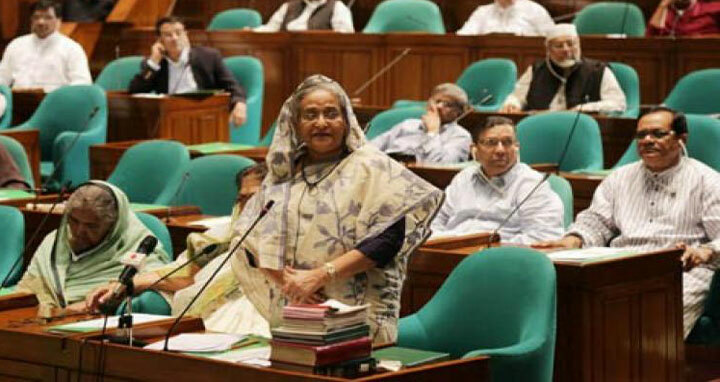 Dhaka, 18 Jan, Abnews: Prime Minister and Leader of the House Sheikh Hasina yesterday said the government may take a decision regarding the issue of inclusion of the non-government schools in the monthly pay order (MPO) in the next national budget. "We're nationalizing and bringing the schools under the MPO on the basis of a policy. Taking this policy into consideration, making a list and seeing the condition of the schools, we could take a decision on the inclusion of the prospective schools in the MPO, when the next budget will be placed," she said. The prime minister made the remarks while responding to a supplementary raised by Tariqat Federation lawmaker Syed Nazibul Bashar Maizbhanadari during her question answer session. The Leader of the House said the budget money is the public money and it's not for throwing away by showing dishonour. "We want this money to be spent for the welfare of the people," she said. Sheikh Hasina said the government is nationalizing or bringing the schools under MPO following a policy considering all aspects like the number of students, the quality of schools and students and how the teachers are providing education. In this connection, the premier cited an example in which she refused a proposal made by one of her relative regarding the nationalization of a school in Pirganj in Rangpur. Sheikh Hasina said her relative came up with the proposal for nationalizing such a school which has only 150 students. "I told my relative that how can I nationalize the school where only 150 students are studying. I cannot do it despite being a relative and being elected as an MP from that constituency ... there should have rationality," she said. The Leader of the House added, "A relative will come up with a proposal and I will do it -- such a big injustice I will not do." Sheikh Hasina said different people come up with various demands and the government is assuring them. "But while going to meet their demands, we will have to see that what amount of money has been allocated in the budget, which schools are qualified for getting the MPO and how many students are studying in those schools," she said. The prime minister said her government is not only bringing the schools under the MPO, it's also diversifying the education and taking initiatives for improving its quality. She also said the government has distributed 259 crore, 79 lakh, 22 thousand 902 copies of textbooks among the students free of cost from 2010 to 2018.